Hydrapak supplies water storage and accessories. They innovate and then engineer gear to be a reliable platform that you can use to go beyond where you have achieved before. Set a goal, achieve, and set another. At HydraPak, performance-driven defines who they are—and they know it defines you too. Live large. Hydrate often. Introducing our highest capacity storage yet, the 8L Expedition. 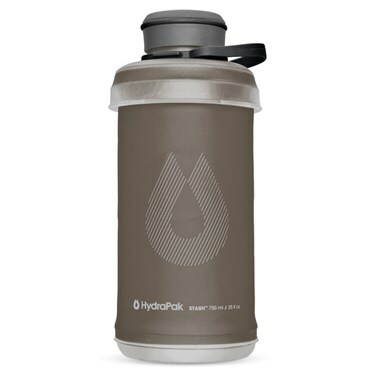 Perfect for car camping or water for your base camp, it has a wide-mouth Plug-N-Play cap for easy pouring, a flexible handle for effortless carrying and hanging and a free-standing design with dual baffles for stability. And as if all that wasn’t enough, it’s lightweight and extremely packable. You’ll be practically unstoppable. Power hydration at its best. 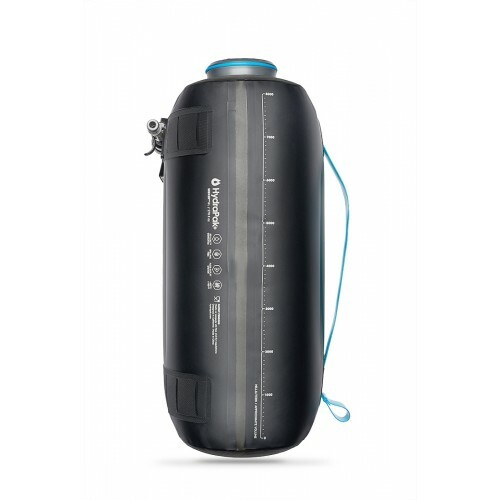 The Full-Force 3L reservoir is a pressure activated hydration system. Equipped with an easy-to-use squeeze bulb that sprays water at your command - whether you're dousing yourself, cleaning your gear or hydrating your dog. 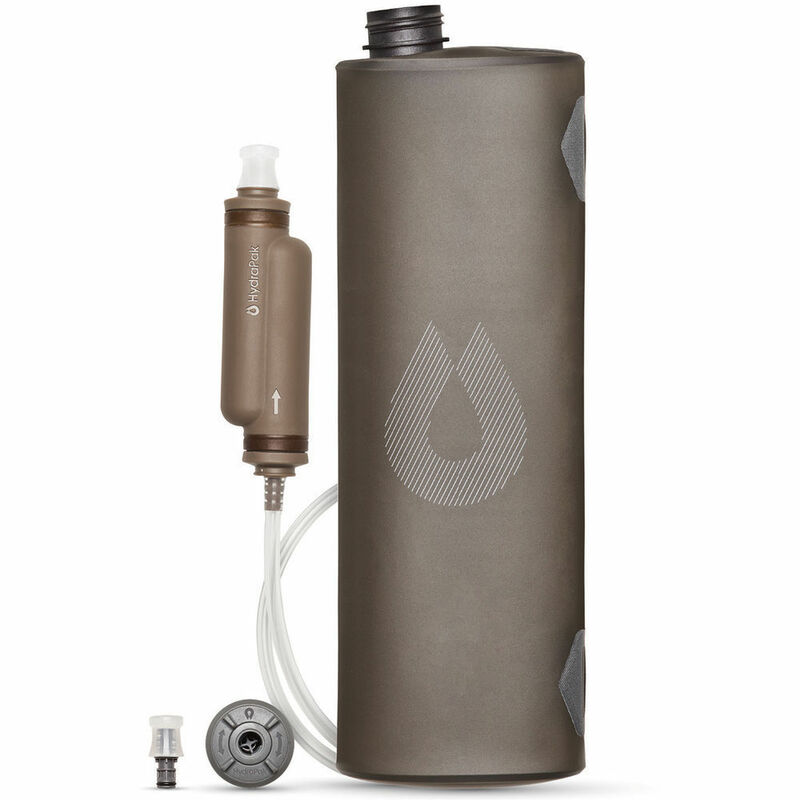 Of course like all HydraPak reservoirs, it's fast-filling, leak-proof and fully reversible for easy cleaning. Go the distance with our latest addition to the Seeker series, the 4L. It has a higher capacity storage, yet it’s lightweight. 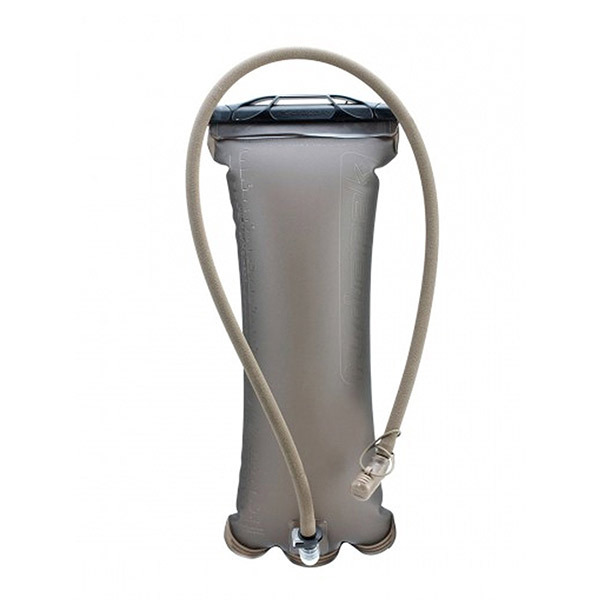 The flexible bail handle allows for easy pouring and carrying. It packs away nice and easy. And four side lash points for hanging or pack attachment make it the perfect tool for the long haul. 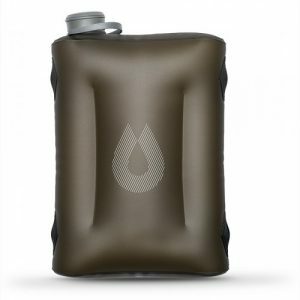 Compact, flexible, and lightweight, the 750ml Stash™ Collapsible Water Bottle keeps you hydrated without weighing you down. Packing down to roughly the size of a hockey puck, the Stash allows you to carry multiple bottles without adding unnecessary weight and bulk to a bag or pack. Simply remove the cap and squeeze to pop open and twist-n-click to close. The narrower mouth is easier to drink and pour from, minimizing spills. Stash™ is the perfect go-anywhere companion. 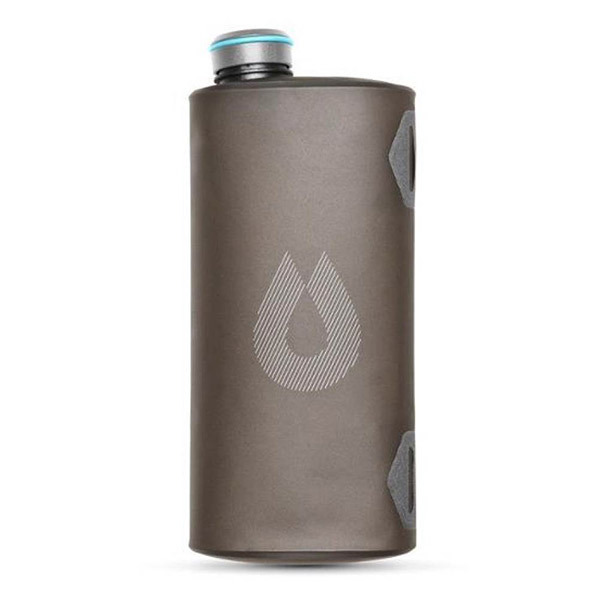 Features: - Ideal for the office, travel, or trails - Collapsible and 50% lighter than a hard bottle - Nylon loop makes it easy to carry or attach to a pack - Standard 42 mm screw cap - Can be frozen or filled with warm water (max temp 140°F / 60°C) - 100% BPA and PVC Free - Durable, built for a lifetime of tough use, No-Leak™ Guarantee Specifications: CAPACITY: 24 fl oz WEIGHT: 2.3 oz (68 g) DIMENSIONS: Open: 7.2 x 3.5 in (18.28 x 10.16 cm) / Closed: 2 x 3.5 in (5 x 10.16 cm) MATERIAL: 0.4 mm TPU, HDPE, nylon Care Instructions: Rinse before use. Clean with mild soap and water. Air dry.